Miss Singh: WAKING UP IN NEW ORLEANS! WAKING UP IN NEW ORLEANS! I was in New Orleans this past weekend and had the most amazing time! I have to share all the places I went to, the food I ate and all the fun I had there with all of you! I love creating these travel posts to take you on my adventure and travels! Hope you enjoy! I have to say New Orleans just had such a unique vibe. It isn't like any other place I have ever been to. Houses are painted in different colors which is so adorable(and make great for Instagram pics). We walked around town for a while and just looking at the houses, art work around town and graffiti which adds so much charm to the town. 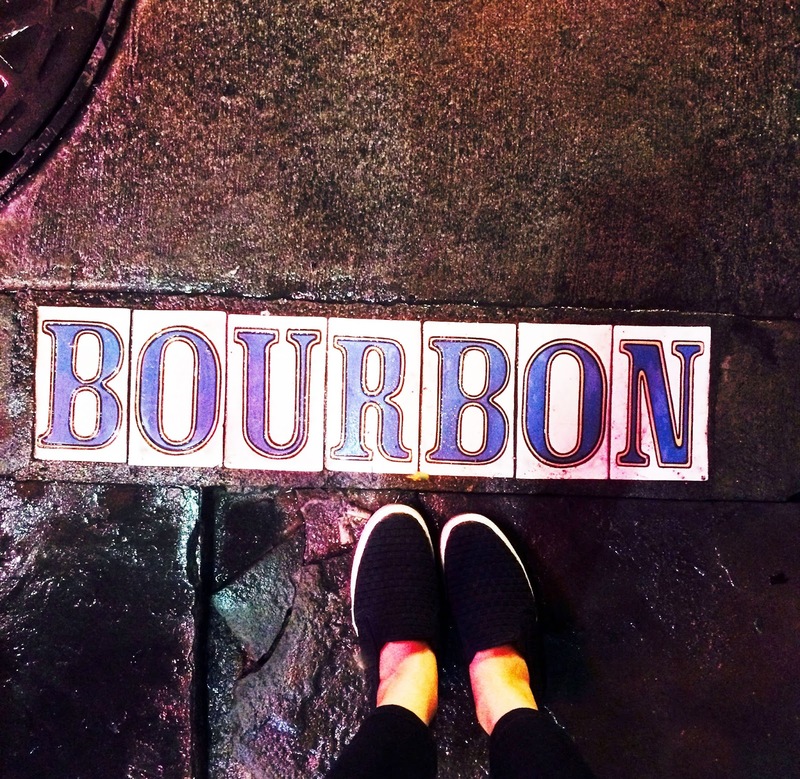 Bourbon street is the party street filled with bars, clubs and live music spots that are packed with people from all over the world. It is such a different experience to be in that area and like a huge college party but bigger. A couple of bars we went to were Tropical Isle, Funky 544, Fat Tuesday and so many more! For live music we went to Frenchmen street that is filled with jazz live spots that are amazing and a must see. I loved The Spotted Cat which was small, but worth the wait! If you want to get away after bourbon street for some good music, this is where you should go! The next day we walked around town and discovered some delicious local food. I love The Joint for some barbecue and Elizabeths for a hearty breakfast. I also love Commander's Palace for some outstanding Cajun food like Gumbo and Crawfish. And of of course we went to the famous Cafe Du Monde for coffee and beignets! One of my favorite things around the French Quarter was the street art! The streets are filled with different artists, where you can buy or admire their amazing work. Another place for gorgeous art galleries is Royal Street. I also recommend checking out Magazine Street for cute boutiques and cafes. I love doing these photo diaries for you guys because I think pictures are so essential to see what a place is all about. Have you been to New Orleans? What were your favorite places?